If you want to feel the wind at your back and sand between your toes, look no further than the extensive range of Caribbean cruises including cruises to Cuba. The Caribbean is an accessible place where the locals welcome you to sample their regional cuisine, listen to their music, and dance the night away under the stars. Some islands have a long-standing history with Britain or the Netherlands while others created a culture that is uniquely their own. Wherever you go in the Caribbean, you’ll be greeted by turquoise water, friendly locals and expats, and amazing beaches where you can while away your holiday. When planning Caribbean cruises, think about hurricane season. Storms can visit the area anytime between June 1 and November 30. However, your chance of running into bad weather is actually quite small. If you do decide to book a cruise during hurricane season, purchase trip insurance that includes provisions for hurricanes. High season in the Caribbean ramps up around New Year’s Day and lasts through March. 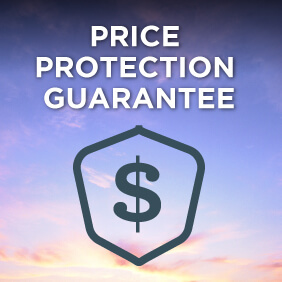 If you want to visit during excellent weather while snagging a cheaper cruise fare, consider either of the “shoulder” seasons: September and October (though great deals can be had through early December) and April and May. 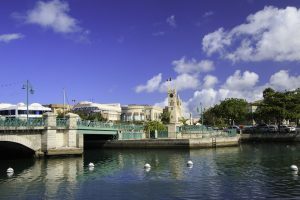 Plenty of cruise lines also offer Caribbean cruises throughout the summer, though you usually won’t find a luxury line in the region from June through September. Nearly every cruise line you’ve ever heard offers Caribbean cruises. The most popular cruise lines tend to be Royal Caribbean cruises, Carnival Cruises and Princess Cruises. 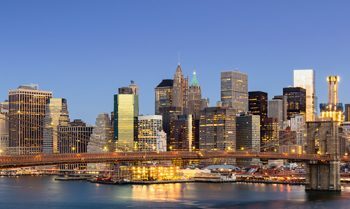 However, there is also a huge variety of itineraries across a number of other lines including Azamara cruises, Celebrity cruises, Costa cruises, Cunard cruises, Disney cruises, Holland America, MSC cruises, Norwegian Cruise Line, Oceania cruises, P&O Cruises UK, Regent Seven Seas cruises, Seabourn cruises and Silversea cruises. If you’ve cruised the islands of the Coral Sea or Solomon Sea before, you’re probably trying to determine how a Caribbean voyage will differ from those experiences. While each of those island getaways have much to recommend them, the Caribbean is actually worlds apart—both literally and figuratively. While the flight from Sydney to Noumea, New Calendonia, is only about three hours, it will take you significantly longer to get in position for your Caribbean cruise. 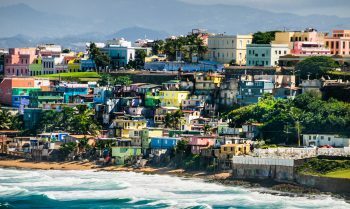 You’ll spend at least 23 hours to fly from Sydney to Miami, Florida, or San Juan, Puerto Rico—two popular embarkation cities for Caribbean itineraries. 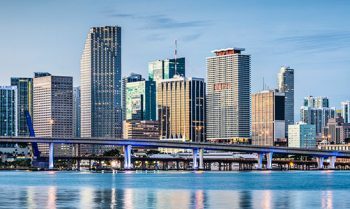 There are many more U.S. gateways for Caribbean voyages, including Fort Lauderdale, Port Canaveral, and Tampa on the mainland and St. Thomas in the United States Virgin Islands. With so many cruise lines operating in the Caribbean, there is such a huge number of itineraries to choose from. 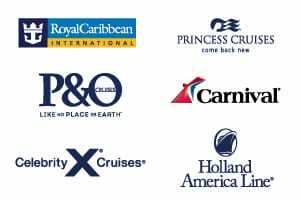 You’ll find there are the highest number of 7 night Caribbean cruises, however there are also some 3 to 6 night Caribbean cruises and 8 to 14 night cruises or longer. 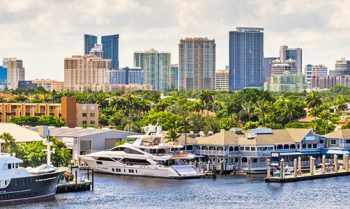 The most popular departure ports tend to be from Florida, with an astonishing range of cruises from Miami, cruises from Fort Lauderdale, cruises from Port Canaveral which is the closest port to Orlando, and also cruises from Tampa. 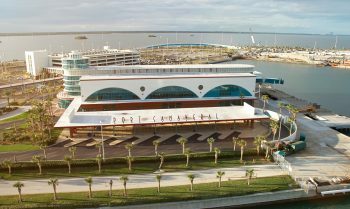 However, there are also cruises from Havana, cruises from San Juan and cruises from New York as well as smaller ports in other United States and Caribbean cities including cruises from Galveston. The best thing to do when you first begin researching Caribbean cruises is to start by determining where in the Caribbean you want to go – Western, Eastern, or Southern Caribbean, or specifically, Cuba – and your search will become much easier. You can always tack on 2 different cruises to different areas to form a back-to-back itinerary if you can’t decide between the beautiful regions. This is actually a really popular way of cruising the Caribbean, and the cruise lines often alternate Western and Eastern itineraries on the same ship in order to accommodate this. But first, let’s talk about the differences. The Western Caribbean includes a variety of gorgeous islands, including the Cayman Islands (Grand Cayman is a popular port), Jamaica (Montego Bay or Ocho Rios), Belize (which is technically part of Central America), Roatan (off the coast of Honduras), and Labadee on the northern coast of Haiti. Western Caribbean itineraries also often include visits to Mexican ports like Costa Maya, Playa del Carmen, Cancun, and Cozumel. View all cruises to the Western Caribbean. Pull out a map and take a look at which islands are part of the Eastern Caribbean. It’s places like the Bahamas, an archipelago of more than 700 islands; Hispaniola, which encompasses the Dominican Republic and Haiti; the U.S. Virgin Islands of St. Thomas, St. John, and St. Croix; the British Virgin Islands of Tortola, Jost Van Dyke, and Virgin Gorda; the Turks and Caicos; Puerto Rico, a territory of the United States; and St. Maarten/St. Martin. View all cruises to the Eastern Caribbean. Some of the islands that you may be most familiar with are in the Southern Caribbean. 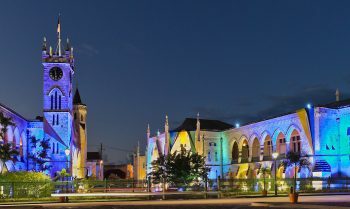 Look to itineraries that visit Antigua, Aruba, Barbados, Bequia, Bonaire, Curacao, Dominica, Guadeloupe, Martinque, St. Lucia, Grenada, Nevis, St. Barthelemy, St. Kitts, St. Vincent, and Trinidad. Puerto Rico’s San Juan is also often a stop on a Southern Caribbean voyage. View all cruises to the Southern Caribbean. 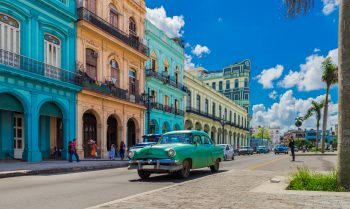 The spread of itinerary choices for cruises to Cuba continues to grow with options ranging from short round trip cruises from Miami to Havana, through to more extensive itineraries with overnight stays in Havana coupled with visits to Santiago de Cuba and Cienfuegos. Cuba can also be combined with Eastern and Western Caribbean cruises to create the most comprehensive of Caribbean experiences. View Cuba cruises, or view cruises from Havana. Let’s be honest, there’s no “bad” tropical island. Each and every one comes to the table with something unique. But, if we had to choose, here are the top ports found on Eastern, Southern, and Western Caribbean cruises. It’s easy to find cruise itineraries that call on those beautiful destinations. 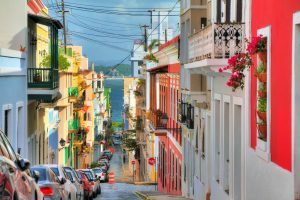 Many Caribbean cruises start and/or end in San Juan, Puerto Rico in U.S. territory, so many locals speak English and you’ll recognise traditional American restaurant chains and stores. While the island is quite large and has a population of nearly 4 million, it’s easy to see and do quite a bit when calling on San Juan. It’s worth arriving at least a day ahead of your cruise (if it embarks from this port) so you have time to explore. But even if you just dock here for a day, you’ll be able to get a good sense of what Puerto Rico is all about. Most ships dock right in Old San Juan, so you’ll be off the ship and exploring in no time. 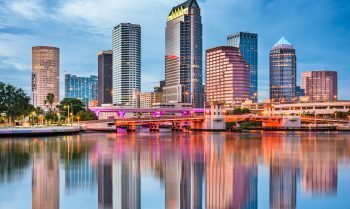 This historic district is where you’ll find a fort and esplanade, museums and art galleries, shops and restaurants. Start your day by touring Castillo San Cristobal. Dating from the mid-1630s, this stone fortress protected the town from attacks from the sea. Then spend the afternoon picking up some mementos at the shops along Calle Cristo. 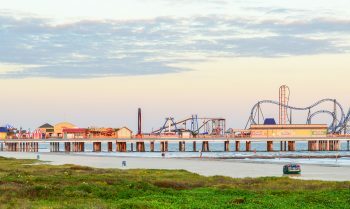 You’ll find items made by local artisans as well as souvenirs. If your schedule allows for deeper exploration pre- or post-cruise, stay for a few days so you can visit El Yunque National Forest (a rainforest) and Bahia Beach that also fronts an 18-hole golf course (both are about an hour outside of San Juan). Barbados is a wildly popular port of call in the Caribbean. Some ships embark/disembark from Bridgetown while others just call on this idyll slice of sand during Southern Caribbean itineraries. It wasn’t that long ago—1966—that Barbados was a British territory so you’ll still see plenty of English traditions. Cars drive on the left side of the street and you’ll find hotels and restaurants that offer a spot of afternoon tea. 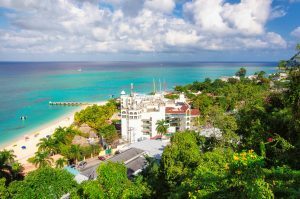 But, you’ll also find a rich Bajan culture and a lush island landscape that’s ready for exploration. Those looking for watersports adventures can snorkel a shipwreck or swim with leatherback turtles; many catamaran companies offer those excursions. There is no lack of gorgeous white sand beaches but you’ll also find world-class golf courses. You can tour a rum distillery (and, of course, sample a glass or two!) or you can go horseback riding. And many people opt to visit Andromeda Botanical Gardens or Welchman Hall Gully, where a troop of green monkeys lives. Barbados definitely has a little something for everyone. 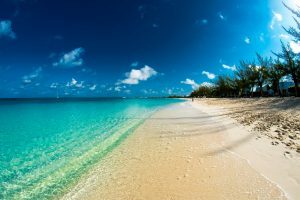 Many people will tell you that the most beautiful beach in all of the Caribbean is Seven Mile Beach on Grand Cayman. This is one of those quintessential beaches with powdery soft white sand and excellent snorkeling and scuba diving right off shore. The beach is located on the west side of the island and is definitely worth a visit. You may also want to go north to see Stingray City Sandbar, where you can take a tour to interact with some very friendly Southern Stingrays. The island’s infrastructure is top-notch and you can rent a car to see the entire island and do some shopping and restaurant hopping. The Cayman Craft Market is always worth a visit and don’t forget to window shop in George Town that offers everything from art galleries to souvenir shops to jewellery boutiques. Be aware that bad weather can put the kibosh on a call to Grand Cayman. As a tender port there is no dock large enough for the average cruise ship. When the waters are rough, it makes it impossible to ferry passengers from the ship to shore safely.